I'm sharing a glimpse of my recent experiences with my husband in the hospital. It's called, "Pray, Hope, and Don't Worry!" I hope you get a chance to read it. 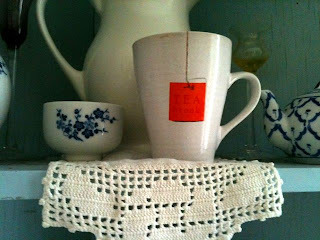 If you like it, click the "like" button at the website please. 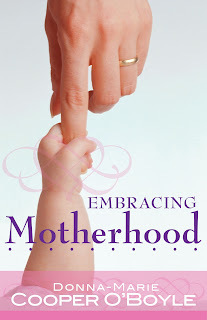 Unveiling my new book - "Embracing Motherhood"
I'm so excited to unveil my new book cover for my book Embracing Motherhood! An audio version of the book will be available too! I'll be taping the audio with my publisher soon. Both are due to release in January 2012. I'll be bringing you more information about this book soon. God bless! In case you'd like to listen to my recent interview on "Wake up Baton Rouge." 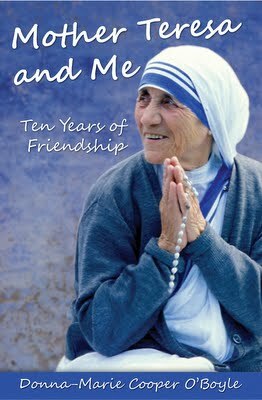 We discussed Blessed Mother Teresa and my new book: Mother Teresa and Me: Ten Years of Friendship. Tune in tomorrow morning to "Wake up Baton Rouge"
I'll be on "Wake Up Baton Rouge" tomorrow (Tuesday) morning at 8:30 AM EASTERN time chatting about dear Blessed Teresa of Calcutta. Here's a bit of information so you can tune in. Simply go to www.brcatholicradio.com and click the "Listen Now" button or you can download the TuneIn Radio App on your smartphones. It's a free app and you just search for WPYR and just listen. I believe you can save it as a preference too. I hope you'll be able to join us by tuning in to our conversation. How's your children's school year going at home as you home-school or at their school or college? Here's a recent radio program of me chatting with Cheryl and Jim on Domestic Church Media during my show "A Cup of tea With Donna-Marie. We're talking about all kinds of back-to-school types of things. She says it's, "an inspiring book about two beautiful souls." Put simply, "Mother Teresa and Me" is an inspiring book about two beautiful souls. I often dream of what it would have been like to have had a personal friendship with Mother Teresa, one of my greatest heroes! While I was not blessed with the realization of this particular dream, I was able to delight in reading about Donna-Marie's friendship with Mother Teresa. The relationship between them was simple, peaceful, inspirational, full of great wisdom, faith-filled and centered on God's Love. Thank you, Donna-Marie, for so generously sharing your friendship with Mother Teresa with us. Thank you very much for your kind words in your beautiful review, Elizabeth!﻿ May God bless you and yours and may dear Mother Teresa continue to inspire you! A note about ordering: You may order autographed copies from my website: www.donnacooperoboyle.com (I'm having a sale there! ), get a copy from the publisher, Our Sunday Visitor Pub. Co., your local Catholic bookstore, Amazon or Barnes & Noble. Welcoming the new Religious Education year! Well, CCD for me starts tomorrow. Oh, wait, I am dating myself. I should probably say that "Religious Education" or "Faith Formation" will begin tomorrow. I've been teaching Religious Education for over 25 years now! I've taught at every grade level. I'll be teaching 5th grade this year which is pretty neat because I'll have some of my fourth-graders from last year. I'm looking forward to seeing some familiar faces, greeting new ones and starting a new school year with the kids. It should be fun and rewarding, please God! To get ready for it, my co-teacher and I met before the Blessed Sacrament a couple of weeks ago and prayed a decade of the Rosary together for the upcoming Religious Education year. We then met for over an hour or so (it was meant to be a shorter time but we enjoyed it so much!) to discuss the year ahead and catch up too. It was a blessed time. How's your Religious Education going in your homeschooling environment or at your parish? Are you about to begin? What plans do you have to get the kids excited this year? I hope you'll share in the comment box below. I'd love to hear. Or, feel free to ask any questions you might have about teaching or Faith Formation. Happy Inspiration day! On Sept. 10, 1946, while Blessed Mother Teresa was traveling on a train to Darjeeling for her annual retreat, she received an invitation from Jesus to take care of the poorest of the poor and to found the Missionaries of Charity Religious Order. Mother Teresa later referred to that momentous occasion as the day she received "a call within a call." The Missionaries of Charity celebrate this day annually. ASK FOR INSPIRATION TODAY! Look for today's date (September 6th) and click on the "MP3" for "Hour 1" My short chat is at about the "12:38" mark, in case you want to skip forward to hear it. It's at the end of the Hour One. But, by all means, check out the whole episode if you have time. Help me get my face on a billboard in Times Square! Wouldn't it be nice to get a good and positive message on a billboard to counteract the bad ones, even if it's for a short period of time? I'm trying to raise awareness of the poor whom dear Mother Teresa loved and cared for so tenderly. Remember, you can vote once a day until September 20th. "Every vote counts!" they say. Happy feast of Mother Teresa! Happy feast of Blessed Mother Teresa! Back to School at "A Cup of Tea with Donna-Marie"
When we near the end of August and early September a lot of parents begin to stress out a bit – knowing that they must change gears and even brace themselves for a new school year – whether it be in their own home as in the case of the home schooling parent or back to the school building – public or Catholic schools. Some young adults have headed back to college or will embark upon that new chapter of their life for the first time while others are stepping over the thresholds of the Kindergarten classroom doorway ready to begin their early education in the classroom. This all means that the lazy or even busy days of summer have come to a necessary, sometimes seemingly screeching halt (why is summer over?!) and we start getting to bed earlier, we rise earlier and we have to adjust to a new school year schedule. Change and transitions can be challenging to both the parent and the child alike. For the parent – having to let go a bit when the child leaves for school or college can be tough. As much as I know that our young adults need to spread their wings and experience life at college, out on their own, or in the work place, after graduating high school, my mother’s heart finds it to be a bittersweet time! I’ll never forget bringing my fourth child, my son, Joseph to college. I had to wear my sunglasses all the way home to hide the tears that kept welling up in my eyes! I couldn’t believe that this son of mine was old enough to be on his own and to live at a college dorm! So, Moms and dads, and perhaps mostly the Moms, you don’t have to feel silly or embarrassed if you shed a few tears but try to hang onto the hope and courage that comes through prayer as you usher your children – the little saints you are entrusted with to raise to heaven – off to school. This same feeling may be experienced by the mother who sends her child off to Kindergarten for the first time too. All kinds of feelings and transitions are going on. As well, of course, we have the feelings of our children to contend with too. So, we prod them forth and give them encouragement. 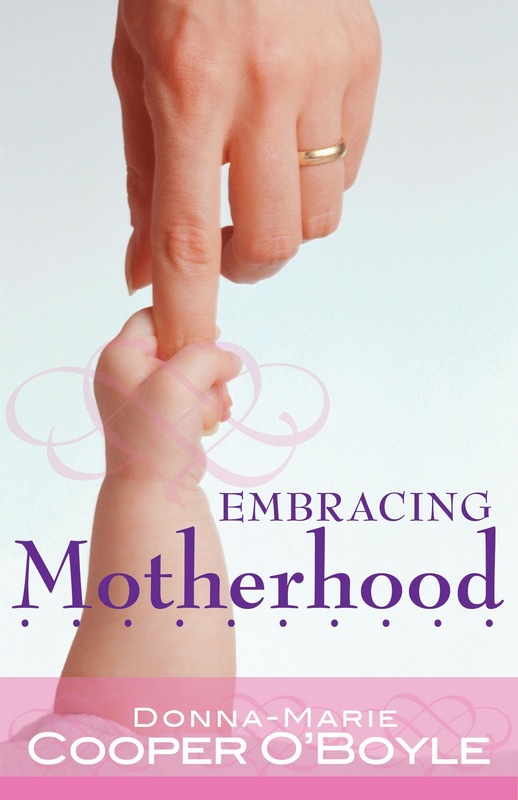 What can help in the transitioning process for the parent and child? 1) Prayer goes right at the top of the list. a) Parents pray together for their children. b) The family prays together. c) Children need to be encouraged by parents to pray at home and in school as needed. Even though we are very aware of separation of Church and State, etc., it's important to impress upon our children that they can pray any time they want (silently within their hearts) and no one can take that from them. 2) Communication is paramount: with our spouse, children, and teachers. 4) SLEEP: Get enough to better cope with the day ahead – it’s so important. 5) Organization: helps for smooth mornings, stress no technology before school – games, TV, etc., Add prayer and communication instead. Talking things out eases worried little minds – and big ones too! 6) Stick to schedules, but be patient with yourself and your children when a wrench is thrown into the works, a child is sick, the alarm doesn’t go off because the power went off, or any number of things. TRY not to set yourself up for failure by thinking everything will go perfectly smoothly. Sometimes, more often than not, so much grace is discovered in the difficulties, when picking up the pieces and even trying to smile about it. Just do your best! 7) Stay positive! SMILE! A simple smile speaks volumes and makes the best of trying times. As an example, when I was a little girl I got in trouble at school for speaking to a friend in the hallway. I was so shocked to get in trouble! I felt horrible and embarrassed. But when I went home, my mother’s warm and understanding embrace melted all of my sadness. I thought I had failed, but she showed me otherwise. A parent’s love is powerful! 8) Finally, be firm – but loving. Kids can try to wiggle out of their responsibilities at home and at school, but your keen eye and loving encouragement will keep them on task. Dear Lord, help me to see that some of the most essential teachings to my impressionable children are in my example and actions. My actions are much more articulate than my words can ever be. Some of the most important lessons in life are learned when watching one whom is respected and loved. Help me to be mindful of my choices and the critical examples I give my children. Remind me, too that my prayer life spills over into my family and will help to enhance their grasp of prayer and their understanding of what is most essential. Amen. Get involved if you can with your child’s education at school. You are already very involved if you home-school your children. But, if they go off to school, see if you can volunteer in some capacity, which is great for both you and your children. Naturally, as a Catholic parent, you are very responsible for your child’s education and our Church considers you to be the first and foremost educator. So, be sure that everything is kosher with regards to the material being taught – investigate – speak up if you have to, but be sure your child is getting a sound and safe education. Let's keep in mind what our Church teaches" "Parents have the first responsibility for the education of their children" (CCC # 2223). And, "The role of parents in education is of such importance that it is almost impossible to provide an adequate substitute" (CCC # 2221). And there are many more references to the great importance of a parent's involvement in their children's education. Pick up the Catechism and take a look. to ease the pain of others. before I attempt to look elsewhere. Help me to know when to say "yes"
and when to say "no"
remembering that "love begins at home." 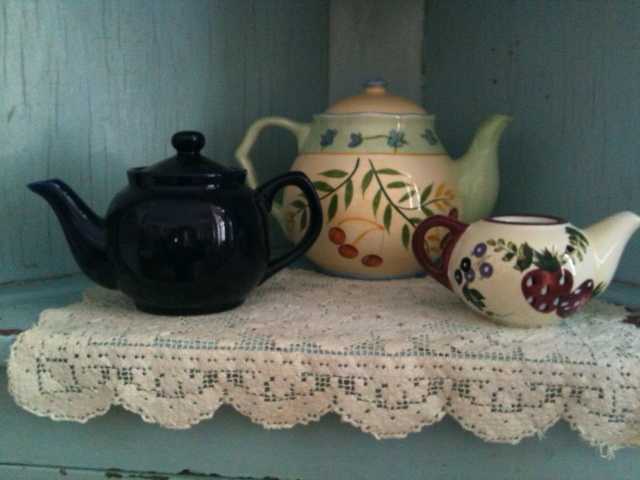 Jim, Cheryl, and I launched our new segment, "A Cup of Tea with Donna-Marie" today. We chatted about back-to-school, off to college, and homeschooling. I'll post a link to the segment from today soon. Very soon, I'll post my 8 tips to help bring peace, prayer, and focus to the transitional time of back-to-school that we chatted about on the show. Stay tuned and God bless! Here's a bit of information posted previously (and new information below)...I'm happy to tell you that I'll be doing a new radio show on a regular basis. 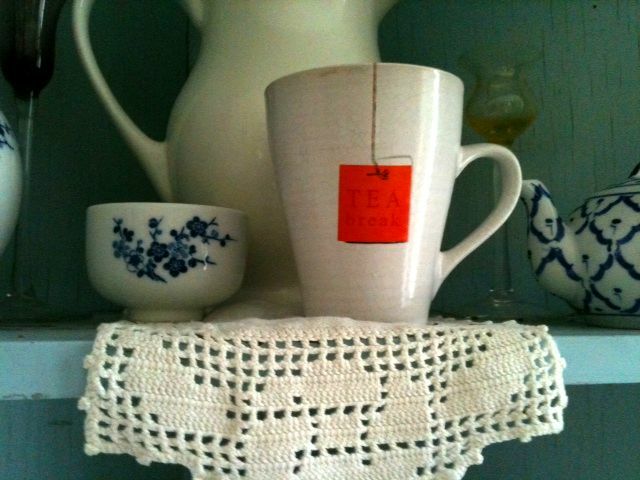 I'm calling my show "A Cup of Tea with Donna-Marie." I'll be discussing all kinds of Catholic family issues with Cheryl and Jim Manfredonia of Domestic Church Media Foundation. It will be at 4:15 PM Eastern time on the first Friday of every month. Our introductory segment was done in person with Cheryl and Jim at the Catholic Networking Network conference http://www.donnacooperoboyle.com/audio/Donna-Marie-CMN.mp3 held at the Valley Forge Convention Center in King of Prussia, PA (just outside of Philly).